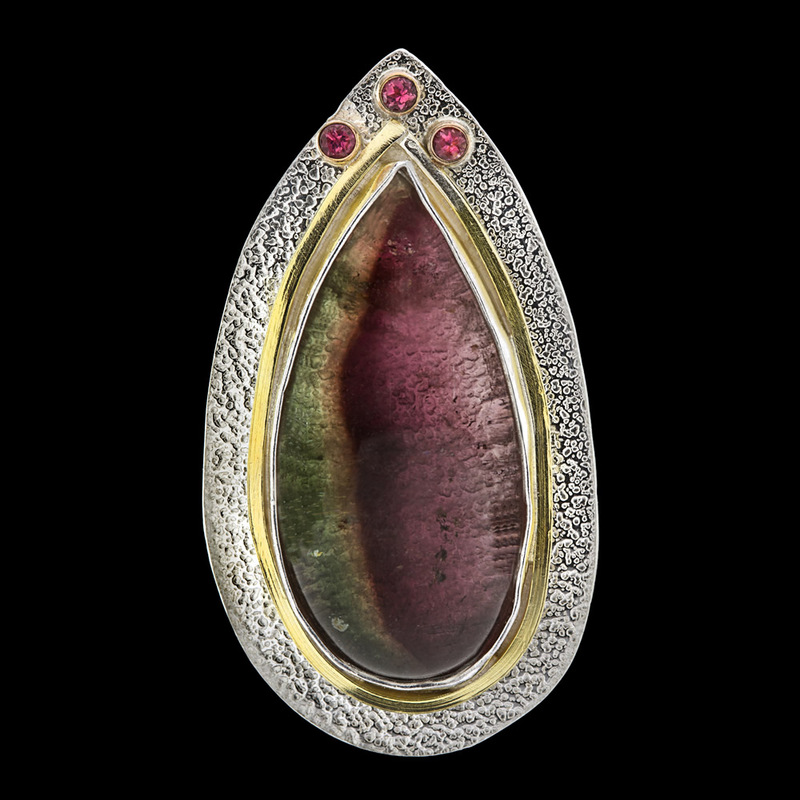 This fantastic Watermelon Tourmaline piece is set with 18K gold square wire surrounding the pendant. Three Pink Tourmalines in 14K gold tube sets are at the top of the piece. The backplate is roller printed sterling silver and has an invisible bail. The piece is 2″ long by 1″ wide.